ginseng(NaturalHealth365) Once believed to have magical powers, an ancient herbal root called “ginseng” is highly revered by many cultures as a life-giving plant. Originally used as a food source, it was discovered in the mountains of China over 5,000 years ago. After realizing its many health benefits, ginseng was soon named as a divine plant in eastern Asia as it healed virtually all physical ailments. While ginseng is still considered sacred to many people, modern medicine didn’t bow down to the seemingly super powers of this special root �C until very recently. Today, scientific studies are proving that ginseng does have spellbinding properties that actually fight cancer �C all types of cancer. This is a significant breakthrough as more than 40 percent of the world’s population will be affected by this devastating disease at some point in their lifetime. According to a study review published in the Chinese Medicine Journal, ginseng’s secret weapon for fighting cancer is revealed through its compound called “ginsenosides.” Numerous studies demonstrate the beneficial effect of ginsenosides against deviant molecular processes that are responsible for cancer. In fact, new studies are being published every day regarding its anti-inflammatory and antioxidant benefits. New research is also demonstrating its potential to kill cancer cells, as well as inhibit cancer’s uncontrolled growth, invasiveness, and angiogenesis. 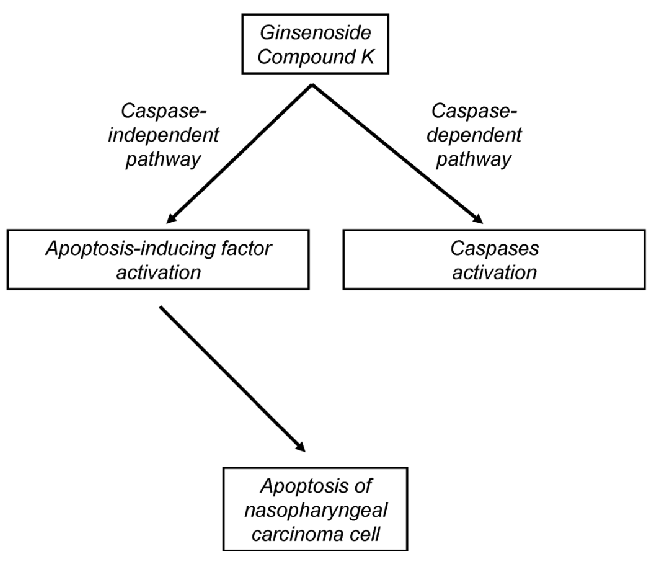 Several new studies exhibit apoptosis in cancer with the use of ginsenosides. Cell death has been demonstrated for several types including breast, ovarian, cervical, and prostate cancers; melanoma; osteosarcoma; hepatocarcinoma; and lung cancers. Of particular interest is ginsenosides’ metabolite Rg3. A May 2015 report published in the Chemico-Biological Interactions journal demonstrated that the average volume of tumors treated were significantly decreased by 40 percent when managed with Rg3. Aside from tumor growth, cancer cells can break away from its primary site and spread to other parts of the body via the bloodstream or lymphatic system. The invasive transmission poses a threat to life as cancer grows at secondary sites within the body. Recent studies have suggested that ginsenosides inhibit cancer metastasis and decrease its invasive ability. An experimental study published in a Chinese Medical Journal reported ginsenosides can significantly inhibit the metastasis of ovarian cancer, while another recent study in Tumor Biology reported that it inhibits cell proliferation and invasion on prostate cancer. With or without other botanical compounds, more studies are showing ginsenosides significant effect on halting tumor growth and invasive cancer in some of the most progressive types of cancer. Angiogenesis is the term used for the development of new blood vessels and is the essential way that cancer nourishes itself. Without excess blood vessels to feed cancer cells, they are less likely to grow. Certain metabolites of ginsenosides �C particularly Compound K �C have been discovered to inhibit angiogenesis. 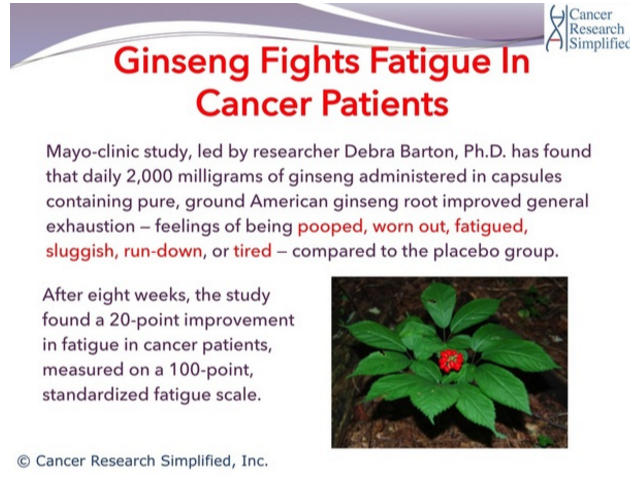 As a functional food, ginseng may be used as a cancer preventative and for general wellbeing. It is empirically known to be non-toxic and safe. According to studies, Panax ginseng is the most beneficial type in preventing and treating cancer. 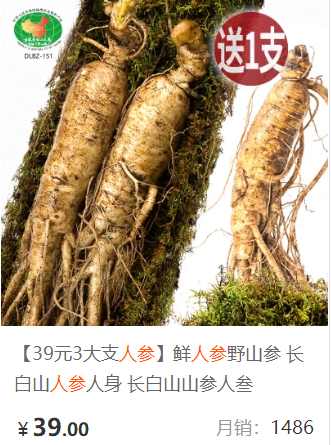 But, since ginseng also has stimulatory properties, the recommendation is for healthy adults to take it daily in the morning or early afternoon. Drink one cup of ginseng tea or take10 to 30 drops of the extract in a beverage. For standardized dried extract, take 200 milligrams. 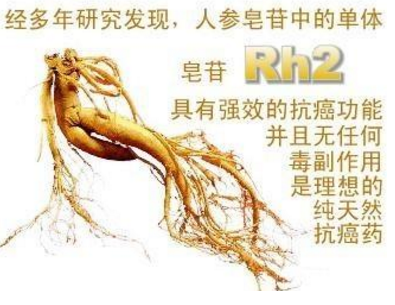 Fresh or dried ginseng root may also be taken daily at one-half to two grams. Naturally, with many supplements on the market, be sure the one you pick is certified organic. About the author: Abby Campbell is a medical, health, and nutrition research writer. She’s dedicated to helping people live a healthy lifestyle in all aspects �C physically, mentally, emotionally, and spiritually. Abby practices, writes, and coaches on natural preventive care, nutritional medicine, and complementary and alternative therapy.